brought out one or two persons, talked with them some, and then took them in again. According to Salmon Brown, he split from the group before all of this and came to Dutch Henry’s place alone. There he roused Harris and helped himself to a horse. Harris, who didn’t know Salmon, agrees that he helped himself to Henry Sherman’s horse. As before, Salmon’s odd omissions tell more than his words. In his version, he has an oddly cordial interaction with the man. He comes up and makes him ready the horse, then says good-bye and rides into the Kansas night. Harris told the Howard Committee that he did it all under duress and has no one riding off alone. old man Brown asked Mr. Sherman to go out with him, and Mr. Sherman then went out with old Mr. Brown, and another man came into the house in Brown’s place. I heard nothing more for about fifteen minutes. Two of the northern army, as they styled themselves, stayed in with us until we heard a cap burst; and then these two men left. That morning about ten o’clock I found William Sherman dead in the creek near my house. I was looking for Mr. Sherman, as he had not come back, I thought he had been murdered. I took Mr. William Sherman out of the creek and examined him. Mr. Whiteman was with me. Sherman’s skull was split open in two places and some of his brains was washed out by the water. A large hole was cut in his breast, and his left hand was cut off except a little piece of skin on one side. We buried him. They afterward brought out William Sherman, Dutch Henry’s brother, marched him down into the Potawatomie Creek, where he was slain with swords by Brown’s two youngest sons, and left lying in the creek. 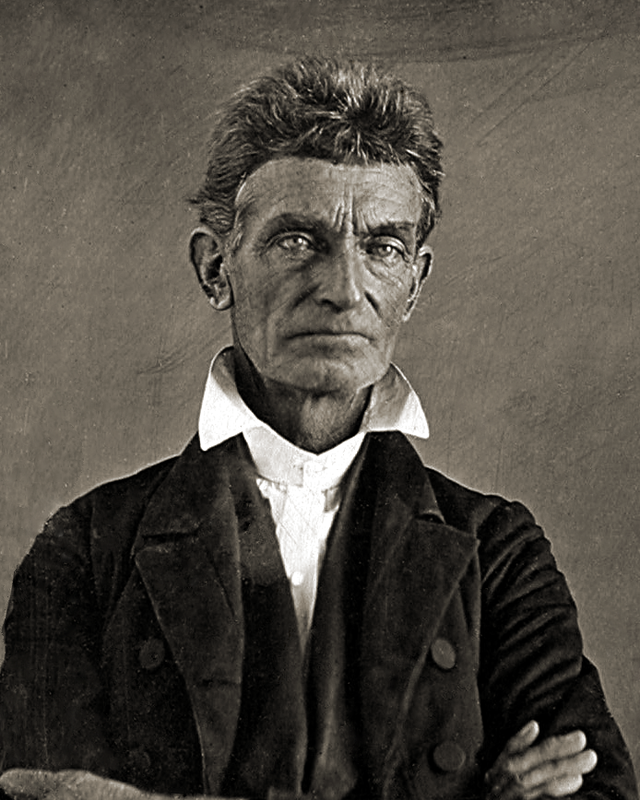 This entry was posted in Bleeding Kansas, Road to War and tagged Antislavery, John Brown, Pottawatomie murders, Violence.